Written by: Donald Ogden Stewart, Waldo Salt (uncredited); based on “The Philadelphia Story” by Philip Barry. 1940 comedy of remarriage marked Katharine’s Hepburn comeback after being dubbed “box office poison”. 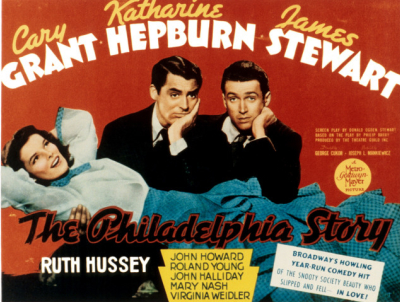 Based on Philip Barry’s Broadway play of the same name, The Philadelphia Story’s theater origins are evident. The setting is austere, and the splendid writing and acting take central stage. The fact that this “Story” is pretty funny is due, in large part, to the amazing trifecta of Grant-Hepburn-Stewart, each giving an impeccable performance, but also to the script by Donald Ogden Stewart. Jimmy Stewart, in particular, is pitch-perfect and he never was more fun. Ruth Hussey and Virginia Weidler (a hoot as “Dinah”) round out the top-notch cast. It loses a bit of steam towards the end, but watching these legends “battle” on screen is pure cinematic glory. Never saw this one, but it looks very fun 🙂 Stewart+Grant+Hepburn has to equal good times, right? It does, indeed. They’re amazing and so is the writing. I’ve been meaning to watch this one for ages, thanks for the reminder. Keep up the good work. Thank you! Hope you get to watch it soon. 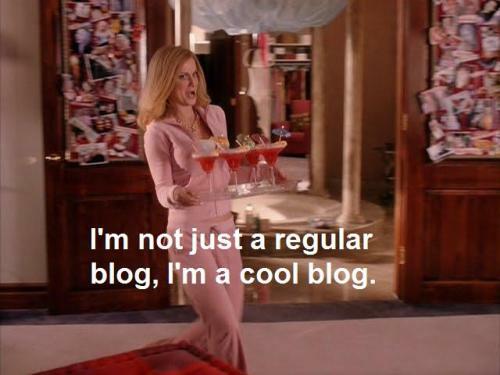 It’s a real treat. I can’t believe I still haven’t seen this. Grant + Stewart together, wow. Ok, I must add this to my must-see list. Great review man. Thank you, Ruth! And yes, please try to see it soon. It’s a treat; the acting and writing are excellent. A film classic and deservedly so. Nice review! Thank you, Mark! It was my second time watching this film and I loved it even more this time. I’ve heard claims that Jimmy Stewart won his Oscar for this film out of the Academy’s own shame for not giving it to him for his 1939 classic, Mr. Smith Goes to Washington. I haven’t seen either one, but after reading your review, I’d love to see this one. Yes, I’ve heard that too and I guess it’s true, but he’s very good in this one, so that Oscar isn’t completely out of place.